Our life started at The Factory! Getting ready to GORGE on Festival theatre. Theatre always goes to ground in January. The stages may be bare, but Auckland’s theatre community are busy strutting and fretting behind-the-scenes. There’s a lot to do: Auckland Fringe 2013 is now less than a month away, and Auckland Arts Festival is right on its tail. I’ve enjoyed the break, but if, like me, you are itching to take in some theatre, very soon we’ll be spoiled for choice. 2013 is going to be packed. Here’s part 1 of what’s on my thea-dar this year: The Festivals! 2013 marks the third year of the Auckland Fringe (15 Feb – 10 March). If 2009 was the enthusiastic underdog, 2011 the consolidating sequel, 2013 should be the pay-off: artists and audiences who know the drill, so can be adventurous enough to go further. This year the open-access festival has 115 events across 40 venues over 24 days. With low ticket prices, and several Fringe ‘hubs’ across the city, you can pack in a number of shows each evening. Plan ahead, or see where the night takes you. Last Fringe Wet Hot Beauties’ water ballet Sirens at the Parnell Baths sold out (read my review). They return with Swan Song, a Baz Lurhmann-inspired “classical love tragedy pool party”. Their shows feature a huge cast that create some beautiful images in the water, but also embrace the silliness of the form. This one is a must-experience uniquely Fringe event. Wellington’s Binge Culture Collective were one of the standouts of last year’s New Performance Festival with Wake Less, and they return to our parts with For your Future Guidance, an “interactive performance in the style of a self-help seminar” promising to give us all the skills we’ll need to survive the ‘you-topia’ of the next few decades. Worth going to this one too to check out the new Co.Space at the Biz Dojo. 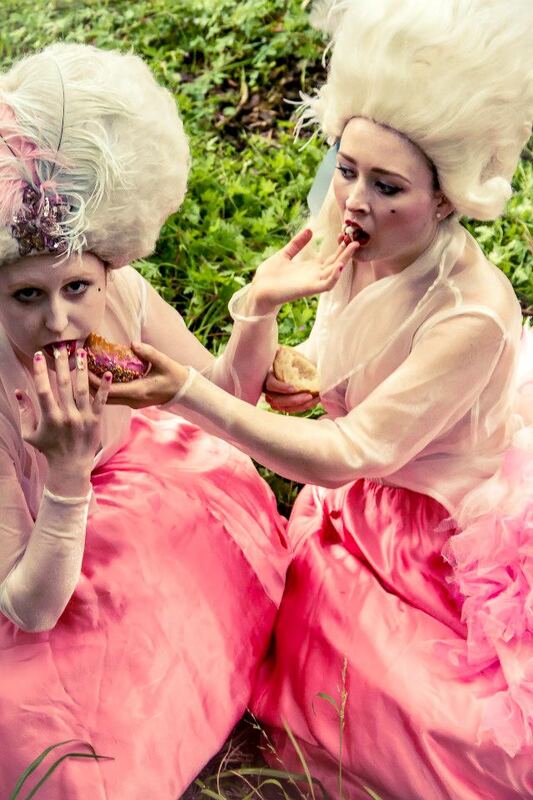 Benjamin Henson is collaborating with actresses Virginia Frankovich and Phoebe Mason on Gorge which looks absolutely decadent, taking us to a land of “gateaux and blancmanges“, and tantalisingly, “he audience won’t leave the show empty-stomached”. I’m in. You can follow their progress on whoateallthefriggincreambuns.blogspot.co.nz/ which also includes some intriguing storyboards. Celery Stories, from the powerhouse producers of Art in the Dark and The Triumphants is an outdoor journey through Auckland’s backyard, getting audiences “out of their seats and into their seats”. Starting at St Kevin’s Arcade, through Myers Park and ending at The Basement, “the stage could be a park bench, the stranger standing next to you could have the leading role and survival packs will be provided, of course. Use them wisely”. This is definitely for those who like an adventure. There was a lot of interest about what sort of program incoming Artistic Director Carla van Zon would put together for the 2013 Auckland Arts Festival (6-24 March). While the central city is still very much a hub, it attempts a wider Auckland focus and a strong appeal to a Maori and Pasifika influence. Carla makes a strong statement with her choice of local New Zealand work, of which unfortunately I cannot muster much enthusiasm compared to the international offerings. Of the three major local theatre works, two have previously been seen in Auckland. I, George Nepia, Hone Kouka’s one man-show starring Jarrod Rawiri as the Invincibles Rugby hero played during the Rugby World Cup at Q Loft. It’s an impeccable show, with appeal to both Rugby fans and non-fans alike (I reviewed it strongly). If you missed it during the World Cup hoo-ha its worth a look, and the Festival provides an opportunity for a wider audience, but is this repeat season justified Festival fare? 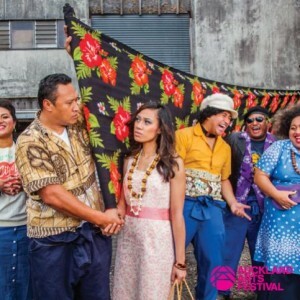 More interesting is the championing of Pacific musical The Factory, a tribute to Pacific migrants, which comes to Q from its 2011 Mangere Theatre debut. The music from that production stayed in my head for weeks after, but let itself down in the storytelling department (read Sharu’s review). The Musical has been work shopped, re-worked, and controversially re-cast . 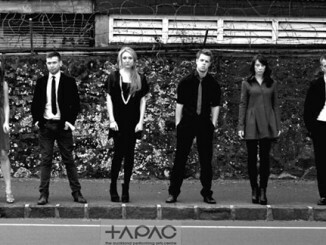 There is a fair bit of hype for ‘New Zealand’s first pacific musical’, and I hope it realises its great potential. Hui, produced by Silo, is the one ‘world premiere’ and looks to be a seering drama about four estranged brothers who are reunited after the death of their father. Hui has my attention with Rachel House (The Maori Troillus and Cressida) as director, and this quote from playwright Mitch Tawhi Thomas: “…30 years on from the first Maori appearing onstage, we can now talk about things people were too scared to talk about before”. Auckland Theatre Company’s Dominion Road Stories rounds out the local theatre offerings. Are these the best that New Zealand can do? That will be entertaining, and top of my ‘have-to-sees’, but here are the top five shows I am not only really exited about, but really intrigued about, shows too from around the globe that we wouldn’t get here if not for the Festival. I’ve had some really good experiences with theatre in foreign languages before – it’s the switch of taking in a more active way tone and body language. Rhinoceros in Love is performed in Mandarin with English surtitles (think foreign film) and is an allegory for the ‘malladies of young, urbanised Chinese, lost and in love’. Ma Lu is a rhinoceros keeper who becomes dangerously fascinated with his neighbor, and holds her hostage in the name of love. Not hooked yet? The Maidment Theatre’s stage is to be flooded. This sounds beautiful, compelling, and heartbreaking. The Strange Undoing of Prudencia Hart from the National Theatre of Scotland takes theatre to the pub – The Bluestone room – and features an encounter with the devil. Australia’s Cantina continues the Festival tradition of dark-vaudeville cabaret in the spiegeltent at Aotea Square for duration of the festival. Babel is a dance-theatre that explores “the world of language and the languages of the world”. Playing at the Civic, this one’s a coup: Flemish choreographers Sidi Larbi Cherkaoui and Damien Jalet are big names in the dance world. Babel features a cast of dancers from around the world, an impressive sculptural cube set and five musicians who play a live score fusing Hindi beats, Japanese drumming, and medieval flute and harp. Sounds transformative. Check out Part Two where I take in the rest of the theatre year.